Hi guys! It's an exciting blogging day for me today. It's the day I finally finished making a recipe index! I've been wanting to make one forever, but there have always been other things to be done at home. I took advantage of the quiet with my big kids in school and our major house projects being done. I ignored the dishes and the laundry and made an index. 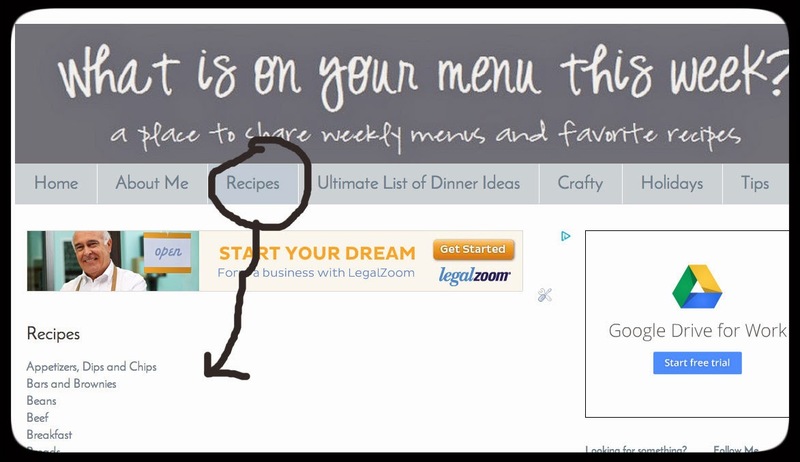 Just find the RECIPES tab and click on it. 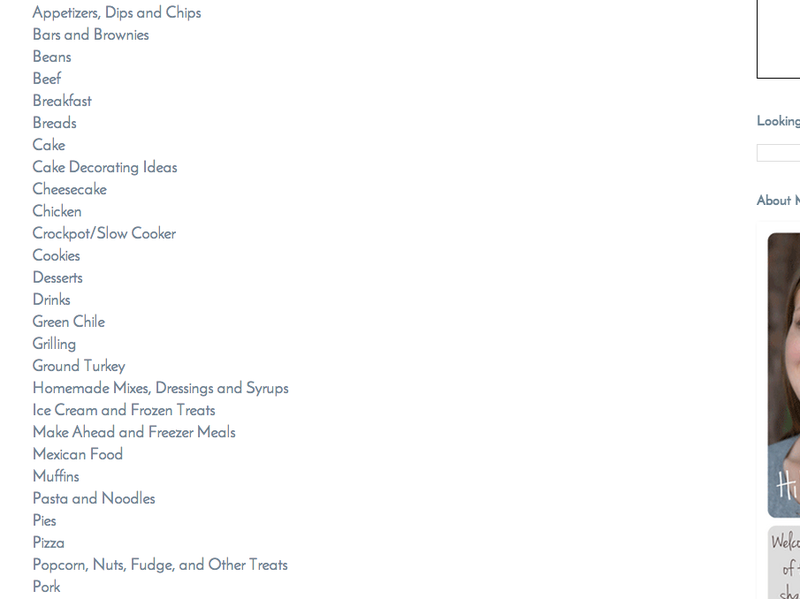 Then you'll find a list (it might be a little long, I got carried away) of lots of categories of recipes. Just click on one of them, like maybe APPETIZERS, DIPS, AND CHIPS...and it will take you to this. There you'll find all of my favorite recipes for that category. 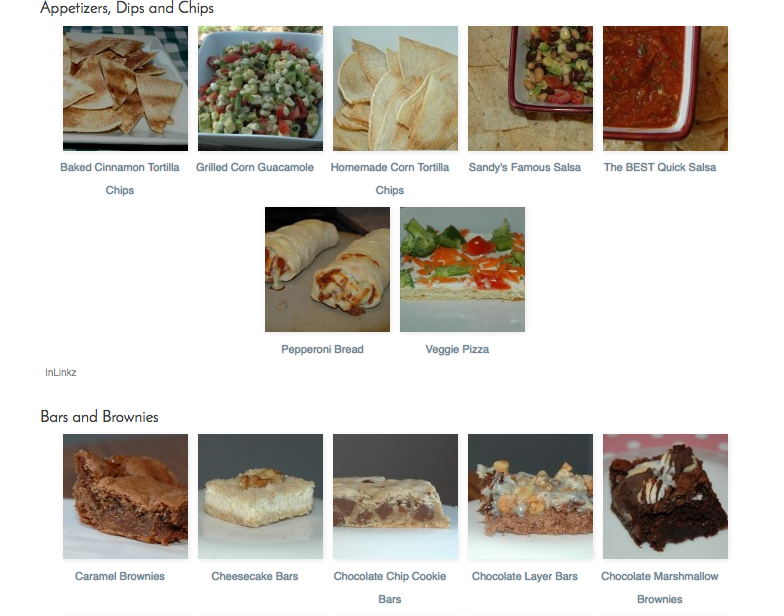 I went through all the recipes on my blog and only included the ones that I love and still make. So, that means that you have an organized list (with pictures) of my favorite recipes. Yay! Hopefully you'll forgive me for my amateur photography, especially in the early years of my blog (est. 2008). I'd love to take some photography classes, but that will happen someday. It was fun to go through all my recipes and remember them. 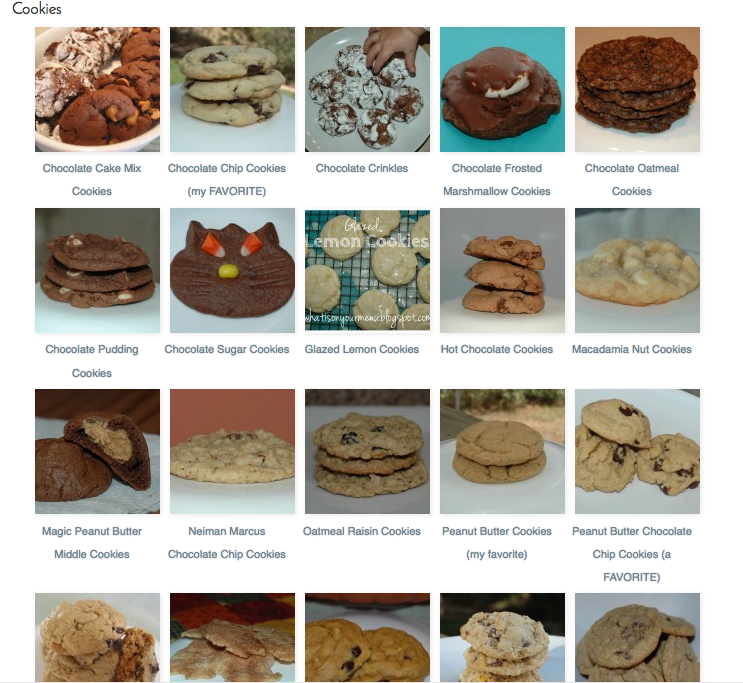 I was amazed at how many chocolate chip cookie recipes that I'd blogged about. I deleted a few and left you my favorites. I think I have more cookie recipes than anything on the blog. :) Yum! I have lots of plans for other indexes to make my blog more organized. I know I have lots of posts floating around on my blog that I have forgotten about. 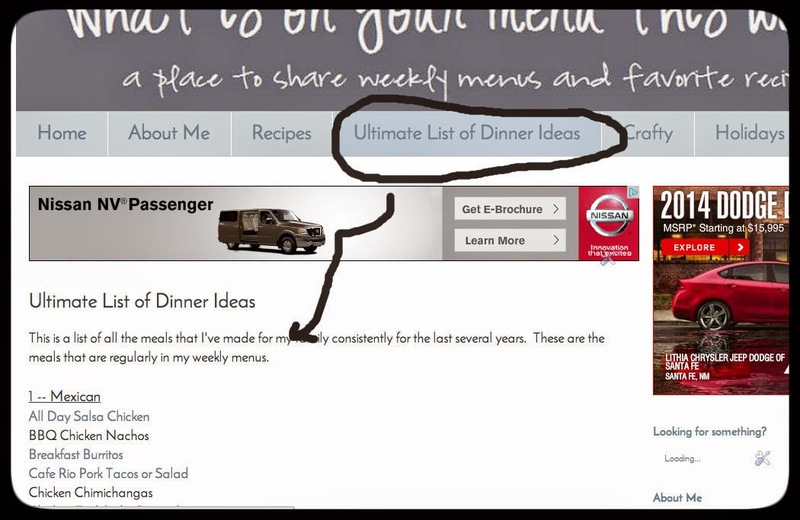 One more thing...I kept my Ultimate List of Dinner Ideas. It has links to my recipes, links to other recipes that I like and names of meals that my family likes so I can look at it and get ideas for planning meals. I refer to it all the time! I better go do the laundry.